South Korea is in talks with the United States over its pursuit of developing solid-fuel space vehicles for non-military purposes, Seoul's foreign ministry said Monday. Last year, the allies agreed to eliminate restrictions on the payload weight of South Korea's ballistic missiles in response to a series of North Korean provocations at that time. South Korea is allowed to develop ballistic missiles with a range of up to 800 kilometers. 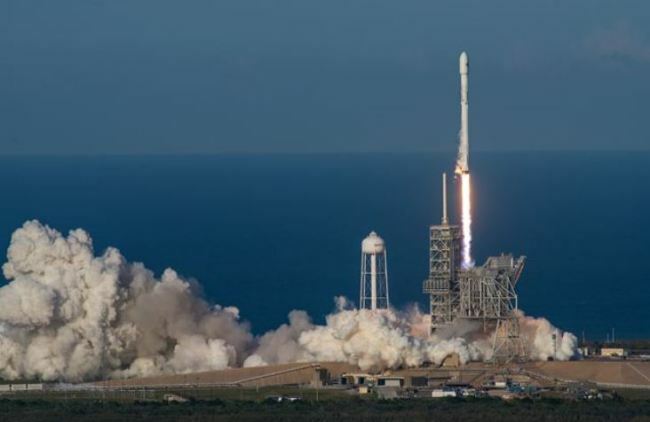 "Currently, consultations are under way between South Korea and the US in connection with lifting limits on the use of solid fuel for space vehicles to strengthen space development in the civilian sector," the Ministry of Foreign Affairs said. It did not provide more details, citing ongoing state-to-state negotiations on the sensitive matter. Seoul needs to address concerns that it may try to use the solid-propellant rocket technology for its military. It's known to be quicker, simpler and more cost effective to launch solid-fuel rockets than liquid-based ones. Japan, another regional ally of the US, is allowed to develop solid-fuel rockets. Shin Beom-chul, a senior fellow at the Asan Institute for Policy Studies in Seoul, pointed out that solid-fuel missiles are becoming more popular in the military field. He added that South Korea should therefore convince the US that it needs to develop a solid-fuel space vehicle just for technology acquisition, as it remains banned from possessing long-range missiles under a bilateral accord. Seoul's move toward this additional rocket technology comes amid a nascent detente on the peninsula.